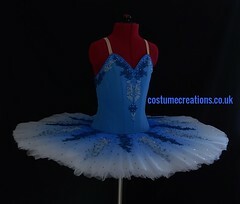 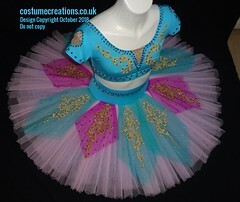 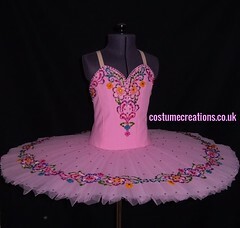 ♦ The variation costume for the role of Swanilda is traditionally performed in a dance dress with a romantic tutu skirt and a peasant-style bodice. 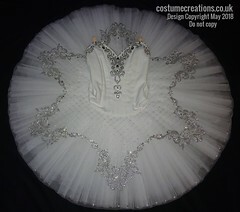 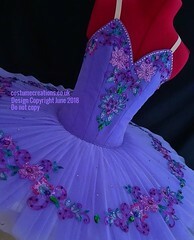 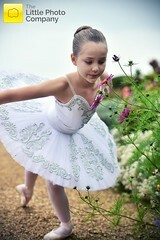 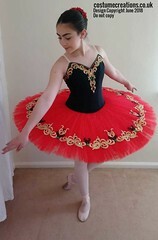 ♦ For the wedding scene, a structured bodice and longer bell tutu create the village aesthetic needed for the garment. 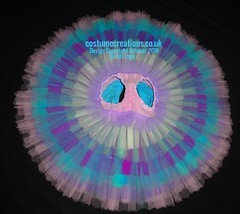 ♦A floral headpiece, or a garland with rosettes and ribbons complete the Swanilda look. 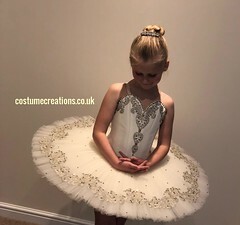 The Swanilda costume requires just the right touch of embellishments for beauty on stage, without detracting from the peasant dress it is meant to be.